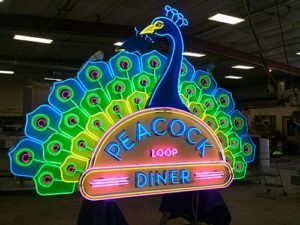 We would like to thank the Peacock Diner family for giving us the opportunity to build such a beautiful sign. Also a big thanks for all of those who voted. Click on the links below to read in-depth articles on this One-of-a-Kind sign.